A new course is live in Super Mario Maker which offers the chance to dress up as the iconic Sky Pop plane from the Game Boy title Super Mario Land. The Southwest Air Adventure course has been designed by Super Mario fans at Southwest Airlines, and clearing it earns you the exclusive mushroom costume for Sky Pop. You can check out the costume in the official Japanese video below. Yes! 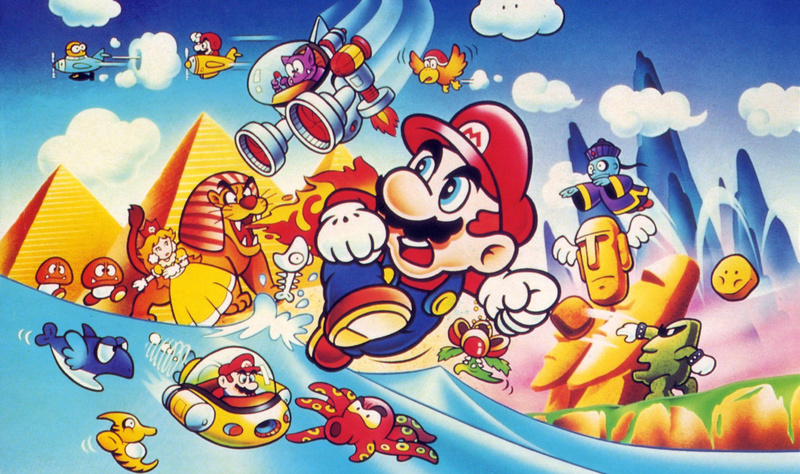 Now, if only we could also get the Super Mario Land title set... well, at least the submarine should come up eventually. Great, now for that Super Mario Land theme that'll happen when pigs learn to fly. I'd like snow and desert levels. I've just played it,rubbish level.The costume is cool though. So this was a sponsored costume, huh? That explains the delay. Sadly a course as easy as that will probably end up with only a 75% clear rate. @Nintendo_Ninja Agreed. And Jungle and Beach, too! 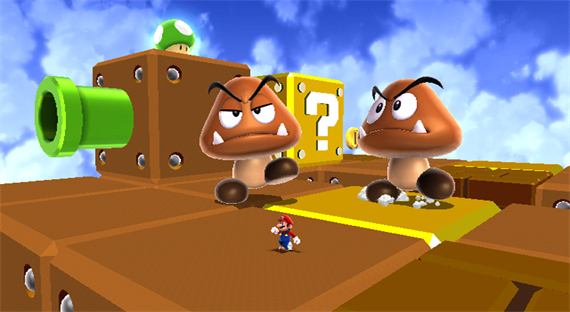 I want a Mario game that looks like that main pic (but still in modern full 3D, or even really well done 2.5D). There's more charm and character and just magical whimsy in that whole look and feel than I've seen in basically any of the 3D Mario games (and any of the more recent New Super Mario games too). They all went a bit plasticky and rendered looking at some point, sort of devoid of any real heart and soul visually/aesthetically. And, how cool would if have been if Nintendo had actually used the Sky Pop plane as seen in that same pic in place of what is now the Fire Clown Car in SMM? Shake the Clown Car and get a Sky Pop. Now that would have been cool. Rather than just being lazy and re-skinning the Clown Car and adding the ability to shoot flames, I think it would have been brilliant if they'd actually given players the ability to use the Sky Pop plane in a way that was actually similar to how it originally played. To me, it just would have made so much sense, and been outright awesome. But, hey, that's Nintendo for you: It does some amazing things you don't expect, but doesn't do half the stuff you kinda do expect--that would just make sense if you think about it (once you have reason to do so)--and would actually really want. Note: Now, obviously most people didn't even think of SMM including the Sky Pop plane at all until either they first saw the Fire Clown Car or the Sky Pop plane was shown as a costume, but after that it surely must have been an immediate thought in many people's minds that it would have made perfect sense to let people fly around in it and really be able to create/play levels authentic SML shmup style, as some people had been basically trying to do using the normal Clown Car until now. Still, we get the crappily implemented Sky Pop costume and a course that doesn't even have any flying/shooting elements in it. would you pay for dlc to have costumes in all 4 styles? All I've been playing lately is Super Mario Maker. Can't wait to go home and play this Event course and unlock this SML plane costume. Maybe I have been jaded by expectations from watching Mario Maker Mornings (which is what got me to purchase the game), but most of the costume levels have been weak. I've been thinking about the jet and submarine ever since the last patch where they said Mario has never been in a scrolling shooter. Now they know the error of their ways. Costumes are great but I would like new themes, and water tiles. Super Mario Land theme would be great. @Damo Heads up man — the course in that video isn't actually the Southwest Adventure course, but a demo to just show off the costume. Wait, is the New Super Mario Bros. 2? That was waaaaaay too many coins for a single level. Or perhaps they are just letting you know that it will cost a ridiculous amount of money to fly on their planes? @Kirk Yeah as much as I like the NSMB games they are very "cut and paste" when it comes to design for each game and graphically it's quite bland. I miss seeing Mario platforms that you could easily tell apart from screen shots because of styles rather higher resolutions . Mario Landvtitkes had such a different feel, look and character design that I was very disappointed when 3D Land turned out to be the same old thing but in 3D. @Kirk I agree that it would be amazing to see a Mario game that looked like the old artwork. Cuphead is capturing the old 30's style animation in their game (and it looks amazing!!!). It would be great to see a 3D game that looks like vintage boxart!